The Mutt Hutt Grooming Salon by Bobie has been offering pet care and grooming services in Venice, FL for over 12 years! We provide quality pet grooming services to our clients at competitive prices. Let us put our experience and expertise to work for you. Click here for the Mutt Hutt in the news! 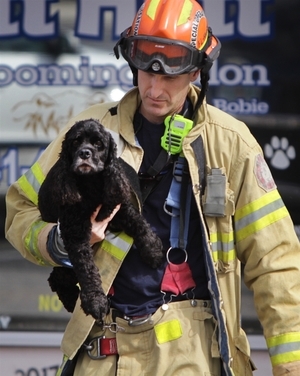 All dogs were rescued and unharmed. We are all friends here at Mutt Hutt!! !